The growing interest in lignin as a potential source for biofuels and biochemicals is driven by multiple factors: (1) relative abundance, (2) absence of competition between food and fuel, and (3) recent legislation and mandates promoting a green economy. 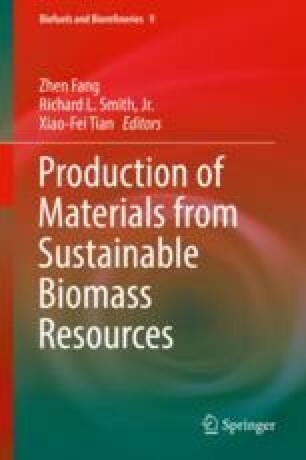 This book chapter presents a detailed literature review on how lignin fits into the growing market for antioxidants especially fpr polyolefins, and discusses previous studies on lignin as a bio-based chemical. There is a scarcity of the literature addressing the effects of adding technical lignin and its de-polymerized products in polyolefins and their antioxidant properties. In this context, the authors explored lignin de-polymerization as a promising approach to improve the reactivity of the lignin-based antioxidants for polymers (polyethylene, PE and polypropylene, PP). A proprietary hydrolytic de-polymerization process was utilized to increase the antioxidant activity of two types of technical lignin: Kraft lignin, KL (a by-product from the pulp and paper industry) and hydrolysis lignin, HL (a by-product from the pre-treatment processes in cellulosic ethanol plants). This book chapter discusses some of the results showing how de-polymerization can improve the antioxidant activity of commercial lignins, and how the mechanical properties are affected after incorporating lignin into polymer matrixes. The authors gratefully acknowledge the funding support of Natural Sciences and Engineering Research Council of Canada (NSERC), Canada Foundation for Innovation, and BioFuelNet Canada. We also thank Mrs. Fang Cao for her assistance in analysis of some samples.